Each year, the Pantone Color Institute introduces a new color collection to inspire and bring bold, new colors to the forefront. We’ve partnered with color expert Kate Smith to explore these trends and how they coordinate with our newest colors! 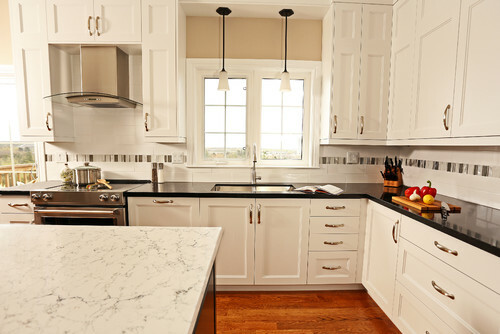 White Attica is one of our newest colors, a trendy combination of vivid black & white with hints of mild grays. This powerful natural look is a dramatic counterpoint to the bright, crisp hues decorating homes today. The contrast of black, white, and gray with these color pairings seamlessly merges modern and classic design elements. For the perfect pairings, we think brighter hues like Pantone’s Greenery, Primrose Yellow, Flame, and Island paradise bring out the dark veining on the surface perfectly! 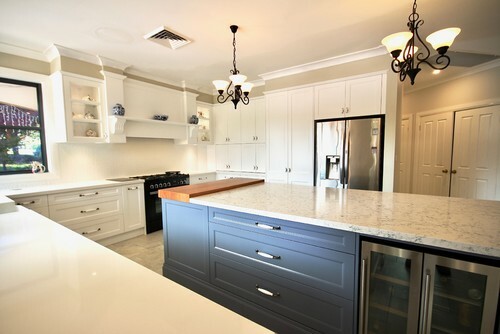 Though, if bold and bright isn’t your thing, Freedom Kitchens shows how to tone it down in a neutral kitchen featuring an expansive White Attica island. 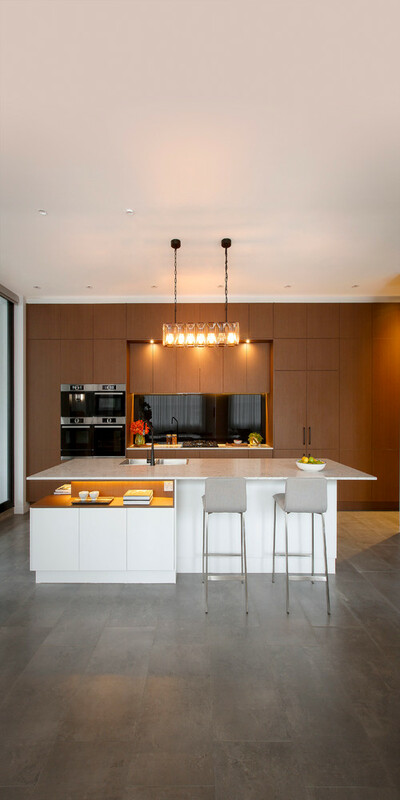 We love mixing materials, especially on the island where it’s most visible – blending White Attica and a wood block, Kitchens by Emanuel emphasizes the intricate details of the island with natural elements. Alternative: go for the classic black and white. You can’t go wrong with a tried and true color scheme like B&W. See all the Perfect Pairings here!